Checking Instagram feed multiple times in a day is a regular routine for most of us. For some, it is even a job. But, what makes this experience a hassle is when you cannot download Instagram music or music videos directly. Yes, it is easy to find similar music videos on YouTube and other apps. However, sometimes, we come across a music video, which is curated by somebody or simply a mashup. Finding these online is like searching for your lost footwear in the ocean. At such times, the need for an Instagram music downloader comes up. Snaptube is an application that offers easy download of Instagram music and music videos. 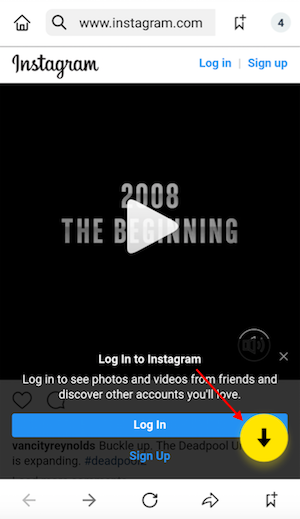 Now, when you scroll through Instagram, you don’t even have to save the music, send it to a friend, or share it on other platforms to keep the music video. You can use Snaptube to download music from Instagram directly to your Android device. In fact, you won’t even have to switch between two apps, Snaptube has integrated various platforms to offer ease-of-access to users. Since Snaptube provides unlimited, free access to entertainment, you won’t face any issues while downloading or using the application. 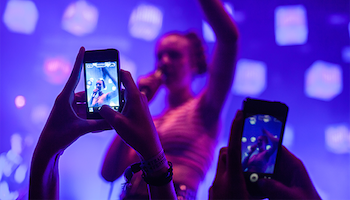 Check out the detailed guide for downloading Instagram music video using Snaptube. Visit the official website of Snaptube and download APK file from the homepage. Once this download is completed, install the application and launch it on your phone. As Snaptube does not require you to sign-up, register, or pay for the services, you can directly start using the app. The features of Snaptube will be available to you immediately without any hidden charges. 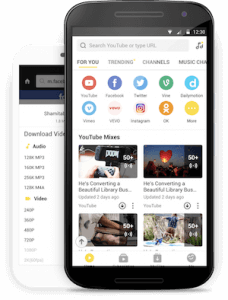 Note: There is a chance that third-party application download is disabled on your phone, due to which you will not be able to download Snaptube. You can easily enable third-party apps from the settings of your Android device. Go to Settings > Security & Privacy > Install unknown apps. Here, enable the third-party applications and Snaptube app will install on your Android device in minutes. Once you have launched Snaptube application, you will find Instagram icon on the homepage. Tap on it and you will be directed to Instagram interface. You can sign-in to your Instagram account either via application on your Android device or Instagram.com. Don’t worry, Snaptube does not utilize your credentials in any manner, and you can safely sign-in to your Instagram account using the application. If you do not find Instagram icon on the homepage, you can click on the more button (a round icon with three dots). Choose Instagram from the list of applications and add it to your Snaptube platforms. You can also add other platforms from the more option to your Snaptube application. 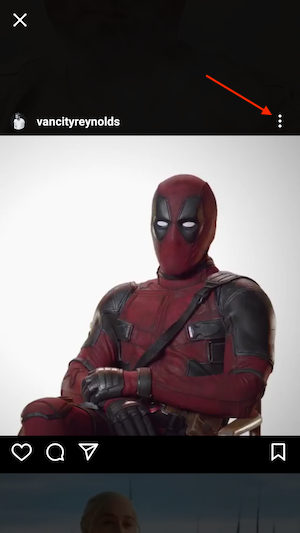 You can just scroll your feed and whenever you find a music video that you want to download, click on the three dots on the upper right of the music video. A drop-down will appear, from which you have to tap on copy link. 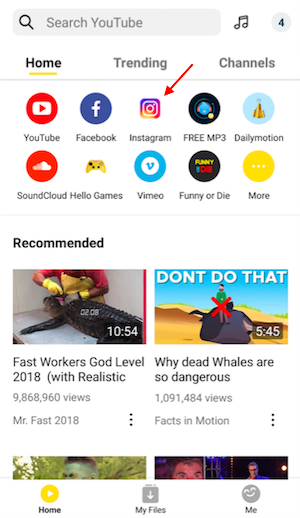 As soon as you copy the link, Snaptube will immediately pop a download icon at the bottom of the screen. It will be a down arrow in a circle. Tap on it, click on Download, and select the file format. 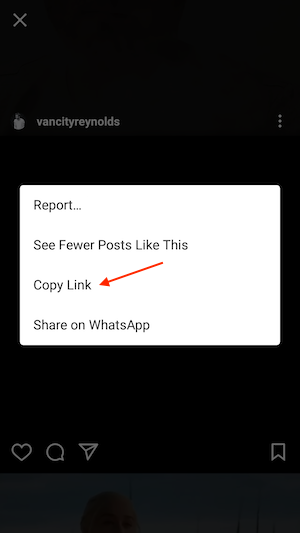 Note: If you do not see the download arrow after copying the link, you can go back and paste in on the search menu of Snaptube homepage. The music video will appear and you can then download the music video from there. For viewing this music video, you just have to open the downloads folder on your Android phone. You can even scroll down the notification bar, click on the downloaded file, and directly start the music video. In some Android devices, you will find the music video in files > videos tab or in the gallery. It is amazing how you can download Instagram music videos on your Android device with Snaptube application. So, stop searching from Instagram music on web and start downloading it as soon as you find a great music video. Install Snaptube app now and enjoy high-quality Instagram music experience for free.